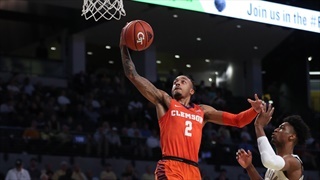 The Clemson Tigers (17-10, 8-6) couldn’t handle an aggressive Georgia Tech (17-9, 7-6) team on Thursday as they fell, 75-53, at McCamish Pavilion. 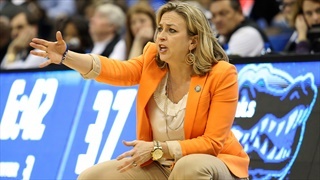 The Tigers have won three in a row after defeating the Yellow Jackets 65-42. 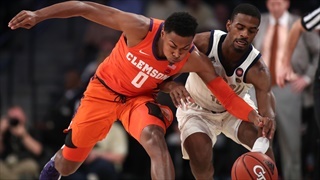 Clemson has started conference play 0-3 for the first time since 1999-2000. 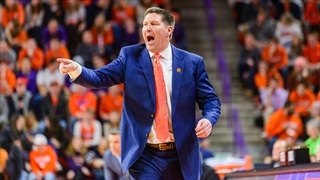 Brad Brownell is optimistic as the Tigers host Georgia Tech on Wednesday night. 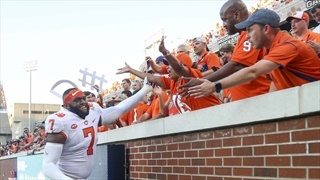 It's official: Clemson will open the 2019 regular season at home against Georgia Tech on a Thursday night. 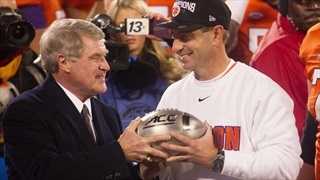 The game will be the first televised event on the brand-new ACC Network. 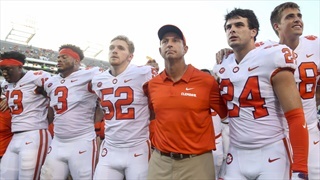 Lots to digest this week as our intern Brandon Stockdale looks back at the quarterback situation and Clemson's defeat of Georgia Tech 49-21 this past weekend. 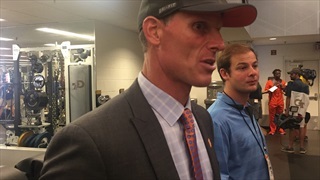 Take a listen to some of the comments following Clemson's win at Georgia Tech. 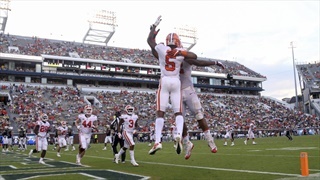 Relive the Tigers' win over the Yellow Jackets in photos. 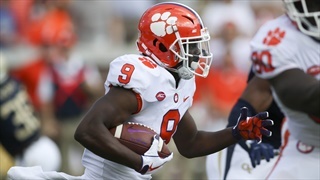 The Atlantic Coast Conference announced today that running back Travis Etienne (Running Back of the Week) and quarterback Trevor Lawrence (Rookie of the Week) have earned ACC Player of the Week honors. 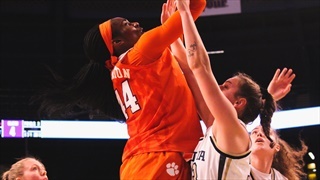 Clemson's win over Georgia Tech continued some impressive streaks for the Tigers. 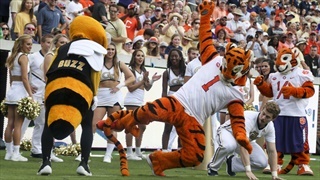 Boogeyman, Smash Concepts, Stay Poised, Sharpening Skills on "The Hill"
Dive into Clemson's 49-21 win over Georgia Tech. 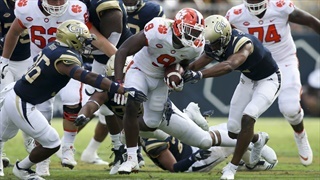 Clemson's call to go back to Lawrence to close out Georgia Tech may have signaled a new era for Tiger football. 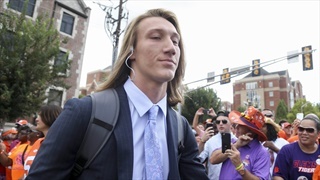 Learn more about GT's first drive and why Clemson stayed with Trevor Lawrence. 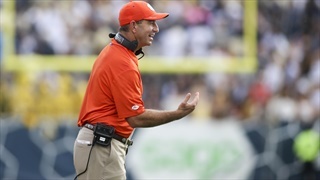 Find out what Coach Swinney had to say after watching the film following Clemson's 49-21 win over Georgia Tech. 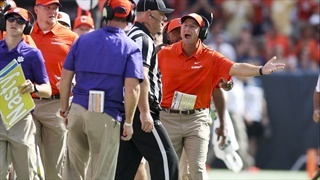 Clemson stayed at No. 3 in the AP Poll, but the Top 5 had a change as LSU passed Oklahoma after the Sooners needed overtime to put away Army. 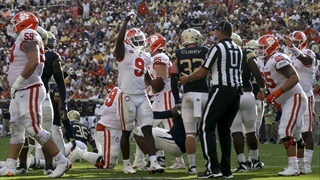 Following Clemson's 49-21 win in Atlanta, the Tigers held on to the No. 2 spot in the Coaches Poll. The AP Poll comes out around 2:00 PM. 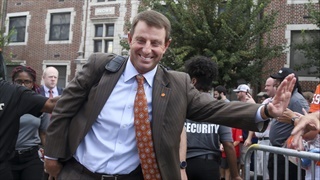 Dabo Swinney: "We’re not going to set depth charts here in the postgame press conference"
Following Clemson's 49-21 win over Georgia Tech, Dabo Swinney reflected on the fourth straight win over the Yellow Jackets. 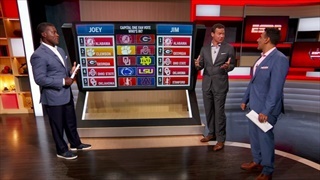 Filling in for Jesse Palmer, Jim Mora ranked his top teams and explains why the Tigers didn't make the cut. 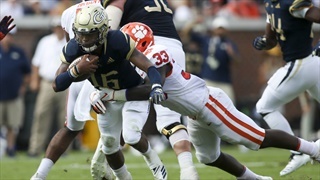 The Clemson football team opened 2018 ACC play with a 49-21 win over the Georgia Tech Yellow Jackets at Bobby Dodd Stadium in Atlanta, Ga. on Saturday.